Interim Budget 2019: Will FM Piyush Goyal surprise the nation tomorrow? 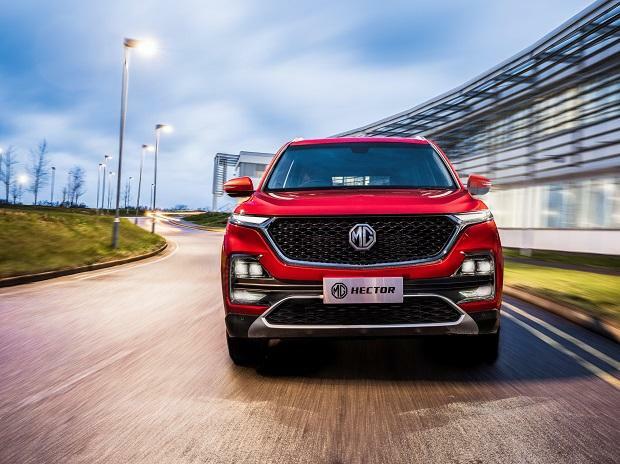 Morris Garages, a British automotive manufacturer, is all set to enter the Indian market by May with the MG Hector SUV (Sports utility vehicle). The car is aimed at the premium SUV segment and comes with a host of segment-first features for Indian automobile enthusiasts. While we are yet to have a first look at the car, the company has unveiled the smart features of the MG Hector. The car comes loaded with a segment-first 10-inch touchscreen infotainment system which can be controlled by touch or Voice Assist. Developed by Nuance, the AI-powered voice assistant has been designed to understand Indian accents better and it utilises artificial intelligence and machine learning to improve its understanding with time. Apart from this, it also comes pre-loaded with a number of apps, including TomTom’s real-time navigation application, a customised Gaana app for music streaming and an AccuWeather app for weather forecast. Termed as the 'internet car' or connected car, Hector also comes with an onboard connection that can provide wireless internet sevices to other devices inside the car. The company has partnered with Airtel and the car will come embedded with an Airtel SIM card, that will provide internet connectivity via 5G-ready IPv6 internet protocol. The car will also receive over the air (OTA) updates, much like a smartphone. Which means that one can download updates directly without visiting a service centre if and when available. Morris Garages has partnered with the likes of Microsoft, Adobe, SAP, Cisco, Gaana, TomTom to name a few and the company is going all out with the services that the Hector will bring to its customers. Apart from the features onboard, the iSmart mobile app by MG allows Hector owners to access the SUV’s real-time location, tyre pressures, schedule a service and much more. It also allows the owner to remotely lock/unlock doors, as well as, geofence the vehicle, so that the car cannot be taken out of a predefined zone. Apart from that, MG car owners can also turn on the ignition and switch on the air-conditioning via the iSmart app. In terms of smart safety features, the Hector comes equipped with an eCall emergency response system that triggers a series of emergency response actions in case of an accident. A message is sent to MG's customer management centre (named Pulse Hub) and registered phone numbers as soon as the airbags are deployed. MG hector also comes equipped with iCall and with just a touch on the screen, drivers can get connected to the Pulse Hub and receive a host of information services. Finally, the Hector will be available in in1.5-litre turbo-petrol, 1.5-litre turbo-petrol with a 48-volt mild-hybrid system and 2.0-litre diesel variants. Expected to be launched by June 2019, the car will compete with the likes of Jeep Compass and Tata Harrier. While there is no official word on the price of MG Hector, the car is expected to be in the range of Rs 15-20 lakh (prices ex-showroom Delhi).